Home » Watch Andres Videos! » You Evolving Now Quote/Question of the Week! You Evolving Now Quote/Question of the Week! The bonds of matrimony are like any other bonds – they mature slowly – Peter De Vries – In your opinion, what makes a great marriage? What do you need most? What do you need to work on giving? Do you know your partner’s answer? Your kid’s? – Scroll Down to read this week’s Blog, get your copy of the best Personal Growth and Relationship Growth books, and check out Membership Packages! 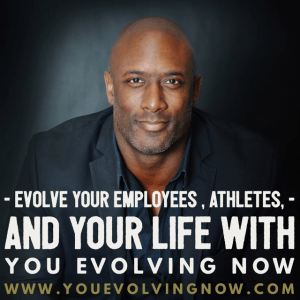 I’m Andre Young, author, speaker, and Founder of You Evolving Now. It’s my mission to impact lives and relationships of people everywhere; allowing employees, athletes, and YOU to EVOLVE and live the life of your dreams! My content, Employee Growth Packages, Athlete Curriculum, and various Membership Packages will allow a more EVOLVED work and home culture and experience as a Person, Partner, Parent, and Professional! 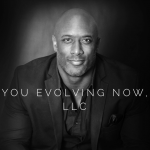 You Evolving Now, LLC is a life-enrichment company focused on Positivity, Personal Growth, Relationship Growth, and Lifestyle Enhancement; allowing men and women, employees, athletes, and YOU to EVOLVE and live the life of your dreams! EVOLVE with Y.E.N. Founder, Andre Young’s various Membership packages designed to impact individuals seeking more out of life in all aspects and roles as people, partners, parents, and professionals! Propel yourself to the life of your dreams with You Evolving Now’s various packages including: Employee Growth Packages for companies, EVOLVING Curriculum for College Athletics, Virtual Life-Enrichment Mentoring for individuals and couples, a Community-Based Life-Enrichment Club, and Speaking Engagements!